An online picture paints a thousand words. What about online videos? 10,000 perhaps? In the digital, social and mobile age, visual content matters. A whole whopping lot! Especially if you are in Asia. With the ubiquitous adoption of smartphones and tablets equipped with powerful cameras in Asian cities, almost everybody can now produce visual content. We are also consuming visual content like never before. Plus, its certainly easier to scroll through pretty pictures and videos than to read a whole bunch of words. Here are some data showing why you need to use photos, videos and infographics in content marketing. 93% of all human communication is non-verbal (source: Non Verbal Group). 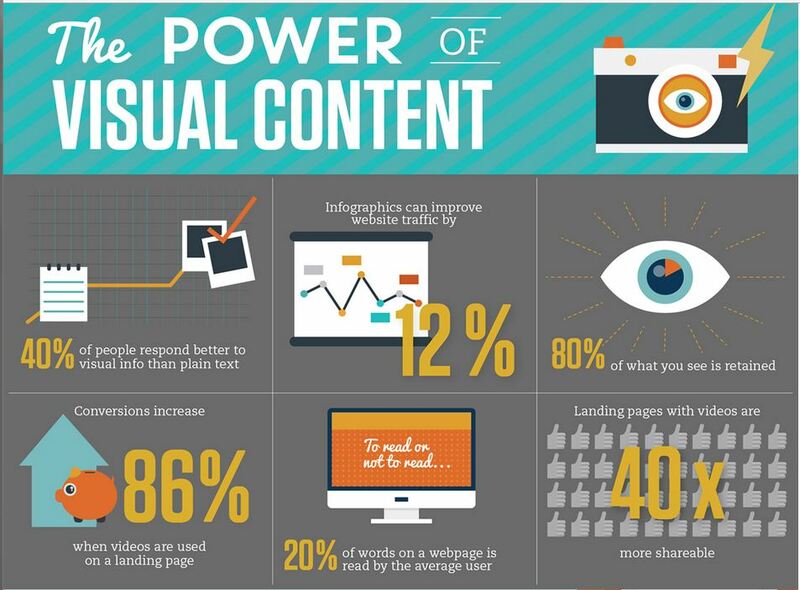 90% of the information transmitted to the brain is visual (source: HubSpot). Visuals are processed 60,000 times faster in the brain than text (source: 3M). Up to 94% more views in posts with visuals (compared to those without). (source: Skyward research via Kathryn Aragon). Online shoppers who view videos are 144% more likely to add to cart than other shoppers. (source: izideo). 67% of e-commerce consumers say that the quality of a product image is very important in selecting and purchasing a product (source: MDG Advertising). Wow, it does look like visuals are vital in any form of communication – from awareness to interest to response. The combination of social media and mobile technology has led to an explosion in online visual content. 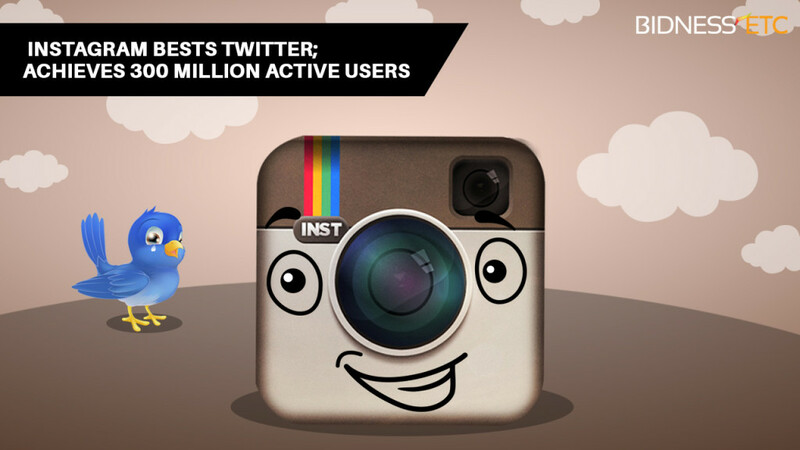 People love taking and sharing photos so much that Instagram has now overtaken Twitter to be the third largest social network in the world (see image below courtesy of Bidness Etc). As a mobile-only app, Instagram’s burgeoning growth is supported by the fact that over 60% of people are accessing social media networks via their mobiles and tablets. What about the kingpins of social media Facebook and Google Plus/YouTube? Well, it appears that uploading photos have become the most popular activity on both networks. In case you haven’t already realised, Facebook is the world’s largest photo sharing website, with over 350 million photos shared a day. And guess which sub-continent has the fastest growing number of Facebook users? Well, the latest revisions by Google in its search algorithms result in images and videos having a higher search ranking than pure text alone. Beyond having a prominent position on page one of the Search Engine Results Page (SERP), images and videos also have their own tabs! A key SEO strategy these days is to create optimized photo and video content that are appropriately named and tagged based on targeted keywords. Just look at this Search Engine Results Page (SERP) on Google after I’ve typed in “Visual Content”. Notice how prominently the images figure here? 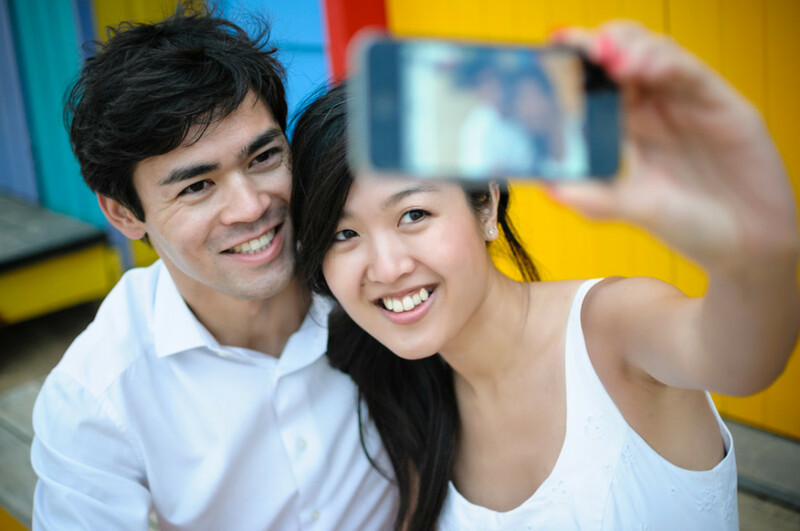 Finally, and perhaps most significantly, we Asians just love to take, share and consume photos and videos. If you don’t believe me, just look at how many Asians take photos of their food and drinks in restaurants and cafes! Beyond F&B photography, Asians are also notorious in taking lots of photos during our holidays. 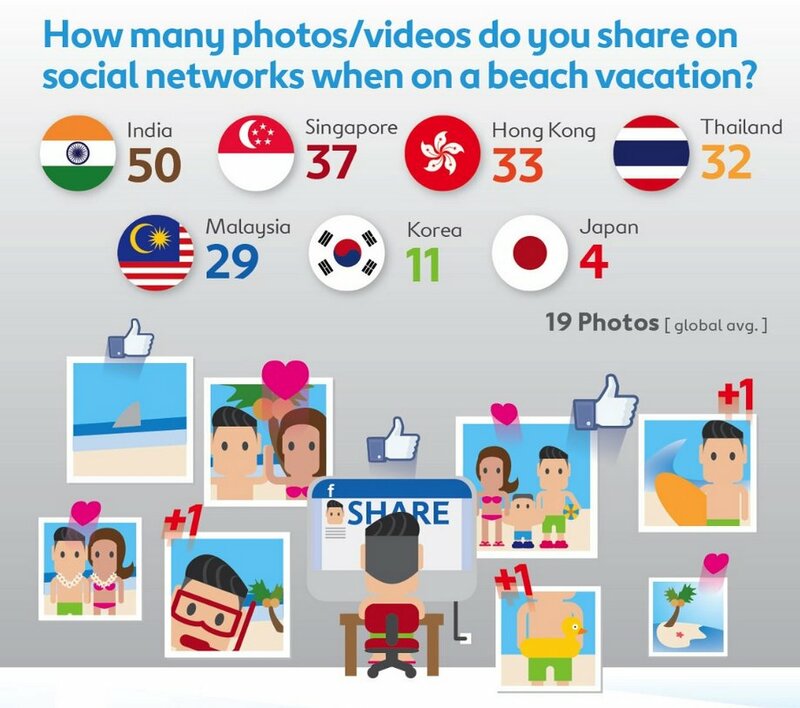 In fact, beach holiday makers from India, Singapore, Hong Kong, Thailand and Malaysia post between 29 to 50 photos/videos a week, way above the global average of 19 photos/videos (source: Webintravel.com and Expedia). On a related note, the same study by Expedia revealed that social media plays a huge role in the holiday preferences of Asians (image extracted from full infographic here). So what do Asians do on social media? Well, if you look at Edelman Digital’s study back in 2011, you will notice that a very high percentage of us look towards social media for video viewing and photo sharing. 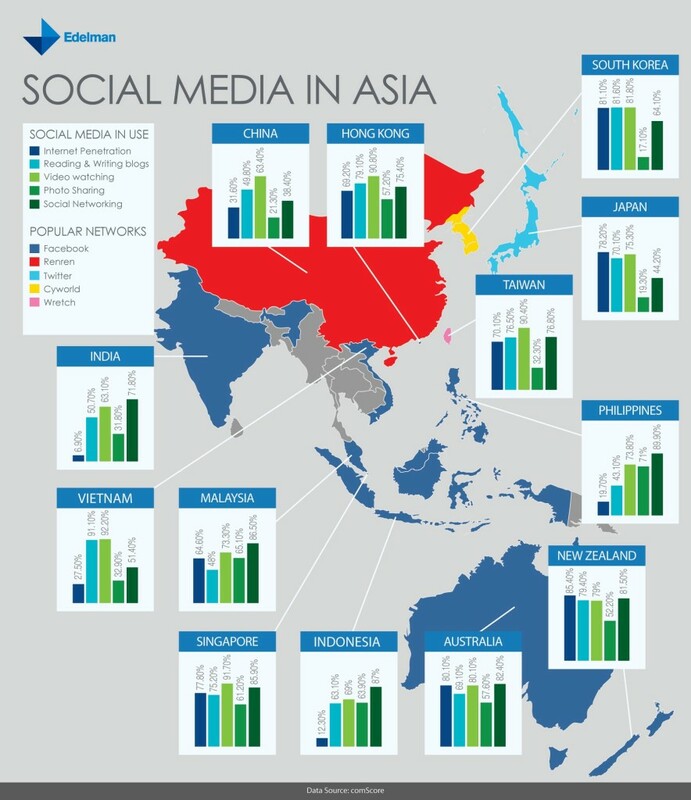 Have a look at the Social Media Map below (courtesy of Edelman Digital). Now that you’ve learned a thing or two about the power of visual content for your digital marketing efforts, the next step involves putting this into practice. Tune in for my next post where I’ll cover some tips on visual content marketing. Hey there, You’ve performed an excellent job. I’ll certainly digg it and in my view recommend to my friends. You can try various ways to do so. WordPress is a good platform to start with. This blogging basics guide here is pretty good as a reference. All the best! magnificent issues altogether, you simply gained a nnew reader. What might you suggest about youjr put up that you just made some days in the past? Feel free to visit my paage -kiếm tiền với giao dịch Forex| mưu sinh với giao dịch Forex| mưu sinh với giao dịch Forex| làm sao kiếm sống với Forex| làm sao mưu sinh với giao dịch Forex| mưu sinh với giao dịch Forex| giao dịch trên thị trường Forex để kiếm sống| giao dịch Forex thành công| kiếm tiền với giao dịch Forex| giao dịch Forex có lợi nhuận. take information about my presentation subject matter, which i am going to deliver in academy. Excellent idea on visual content marketing and also important for on-page factors.